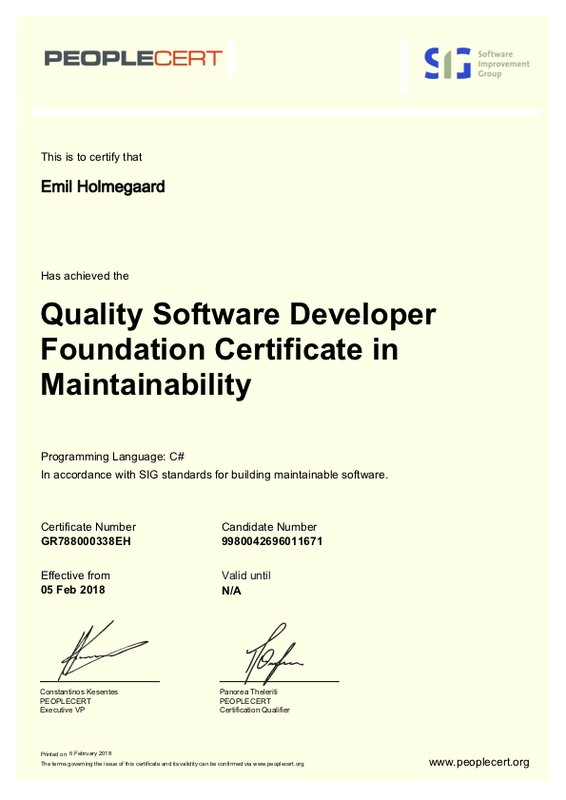 This week I had an exam to test that I can write software with a high quality with respect to maintainability. The exam was one of the last steps in my onboarding at SIG. In the future I might be instructure for our course and training programme for this exam.